A vital and indisputable link exists between phosphate rock and world food supply. Phosphate rock is the source of phosphorus used to make phosphatic fertilizers, essential for growing the food needed by humans in the world today and in the future. We modeled the depletion of the known reserves and reserve base (which includes reserves) of phosphate rock based on various scenarios for increasing population and future demand for phosphate. Using these scenarios, the presently known reserves will be depleted within about 50 years, and the remainder of the reserve base will be depleted within the next 100 years. For this model, we used rates of growth of demand for phosphate rock of between 1 and 1.7 percent annually. We also examined demand rates that decrease over time toward demand stasis. Growthrate scenarios that stabilize demand at the year 2100 are little different from unconstrained growth. Demand stabilization by 2025 extends the reserve base by only about 50 years. Additional considerations could affect these depletion scenarios, causing them to be substantially too high or too low. 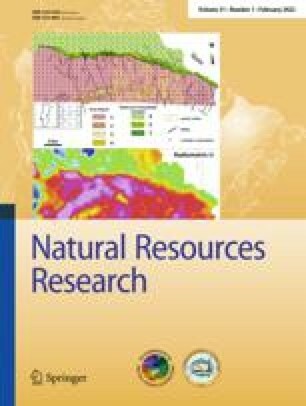 Nonetheless, the incluctable conclusion in a world of continuing phosphate demand is that society, to extend phosphate rock reserves and reserve base beyond the approximate 100 year depletion date, must find additional reserves and/ or reduce the rate of growth of phosphate demand in the future. Society must: 91) increase the efficiency of use of known resources of easily minable phosphate rock; (2) discover new, economically-minable resources; or (3) develop the technology to economically mine the vast but currently uneconomic resources of phosphate rock that exist in the world. Otherwise, the future availability of present-cost phosphate, and the cost or availability of world food will be compromised, perhaps substantially.